Hmm.. let's see. 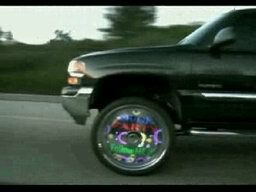 Baby formula or new rims that light up? Tough choice. Amazing video! Check out this TV stations coverage of a new invention called the Sky Cycle. It is a motorcycle that you can fly like a helicopter. This awesome video is a must see.